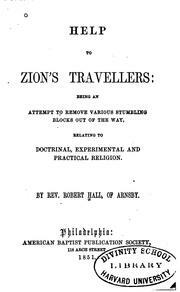 On Terms of Communion: With a Particular View to the Case of the Baptists ..
Help to Zion's Travellers: Being an Attempt to Remove Various Stumbling Blocks Out of the Way ..
Polemical and Other Miscellanies: Consisting of Articles Originally Inserted ..
An Apology for the Freedom of the Press, and for General Liberty: To which are Prefixed Remarks ..
Sermons on various subjects, now first collected .. 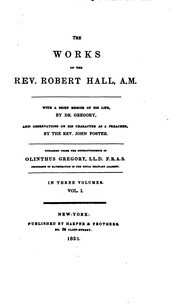 The Works of the Rev. 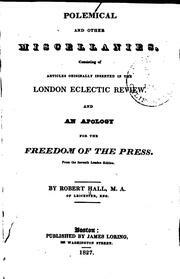 Robert Hall, A.M.
Are you sure you want to remove Robert Hall from your list?